Like its northerly neighbors Peru and Ecuador, a trip to Bolivia brings soaring Andean peaks and steamy Amazon jungle together in one place. There are rosy-cheeked locals in the mountain villages and trip-worthy cuisine in its high-altitude capital city. 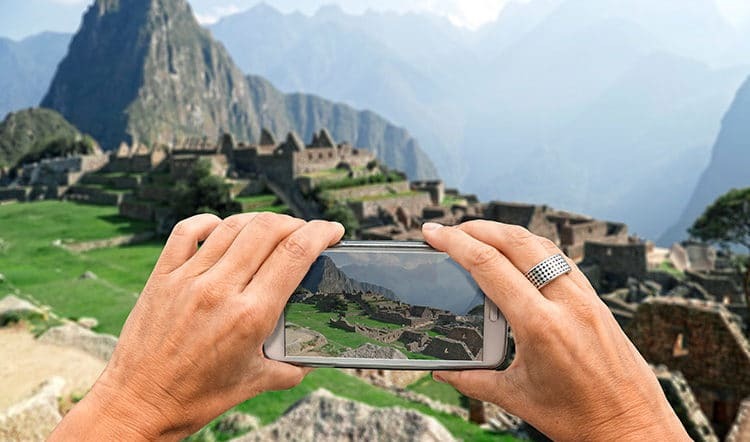 Centuries old ruins dot its vast and breathtaking landscapes and Aymara still lingers on the tongues of those who connect us to the ancient cultures that built them. 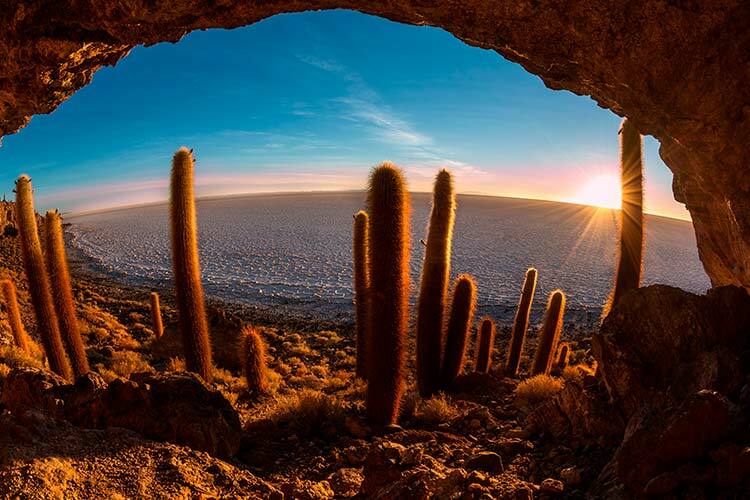 But, despite the similarities, Bolivia is home to a world of travel experiences you just won’t find anywhere else. 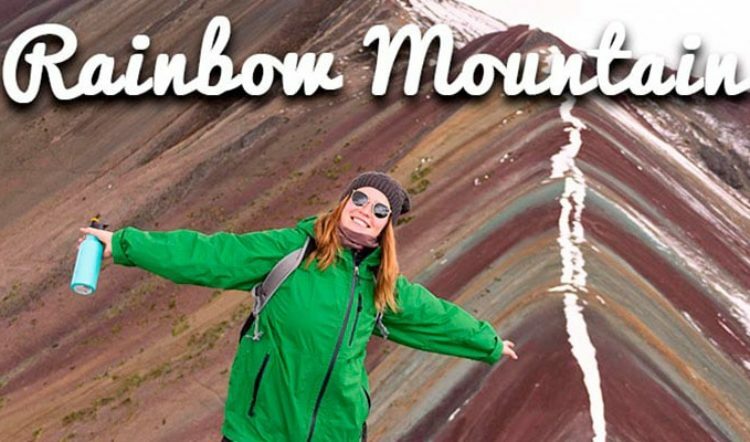 Put this Bolivia travel experience at the top of your list of must-do’s in Bolivia. 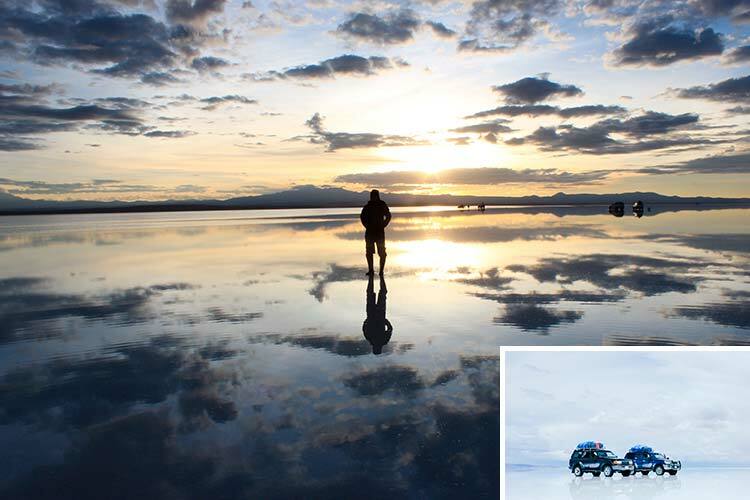 Jaw-droppingly beautiful year round, the ultimate show is really during the months of January to March, when the clouds and blue skies are reflected back across the endless flooded salt flats. For the thrill-seekers, Bolivia has just what you’re looking for on a personalized tour of Bolivia. 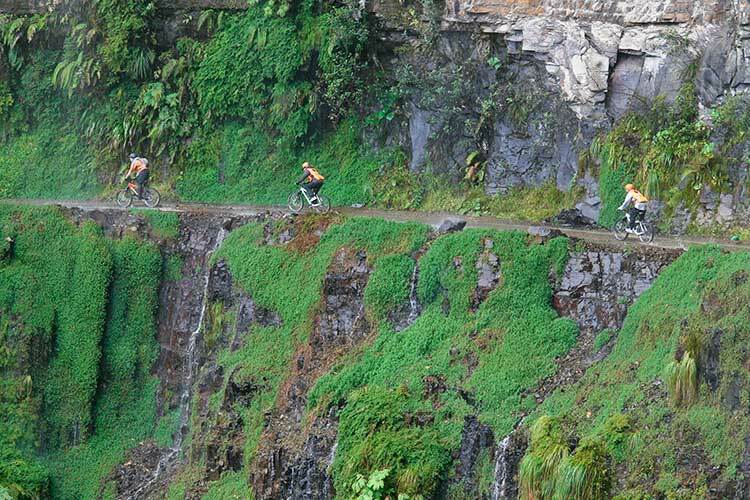 The famous Yungas Road is a 40-mile downhill that hugs a series of frightening cliffs. It earned the title of “World’s Most Dangerous Road” after multiple drivers met their fate on the perilous journey up or down it. Today, it’s mainly for daredevil mountain bikers of all levels looking to get their heart racing. La Paz is Bolivia’s capital city, located in a high-altitude valley bowl at 3’640 meters above sea level and a must-visit on any luxury Bolivia vacation. Wander its famous witches market or attend a Cholita wrestling match for a brush with the city’s most unique cultural aspects. 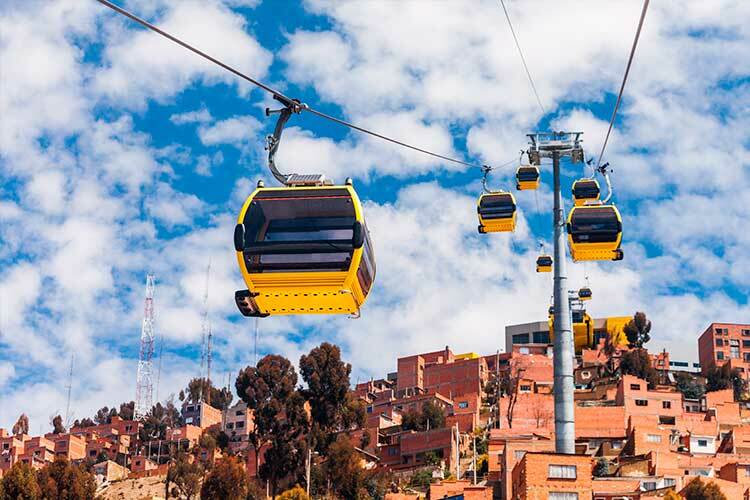 For a 360-degree bird’s eye view of this spectacular Bolivian city, hop on the Mi Teleferico, the world’s highest cable car system, and ride it to the end of the line. 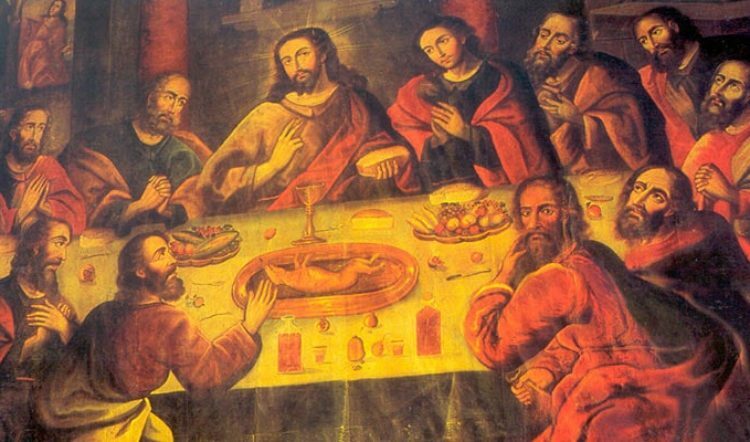 Then, head back down for a delectable meal at one of La Paz’s first-class restaurants. 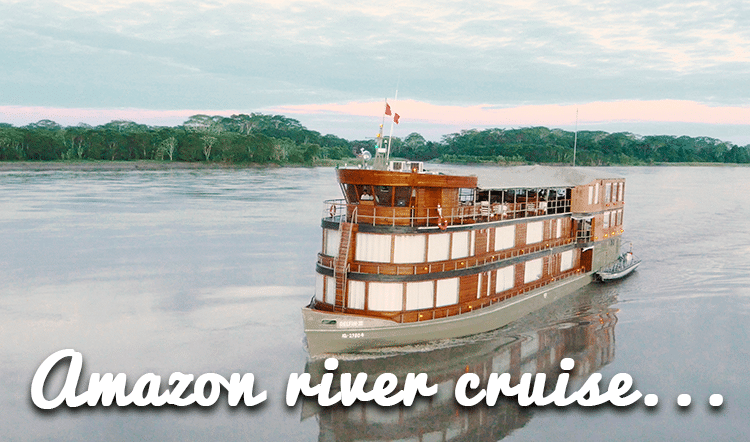 Rurrenabaque is the launching point for an adventure tour of the Bolivian Amazon. 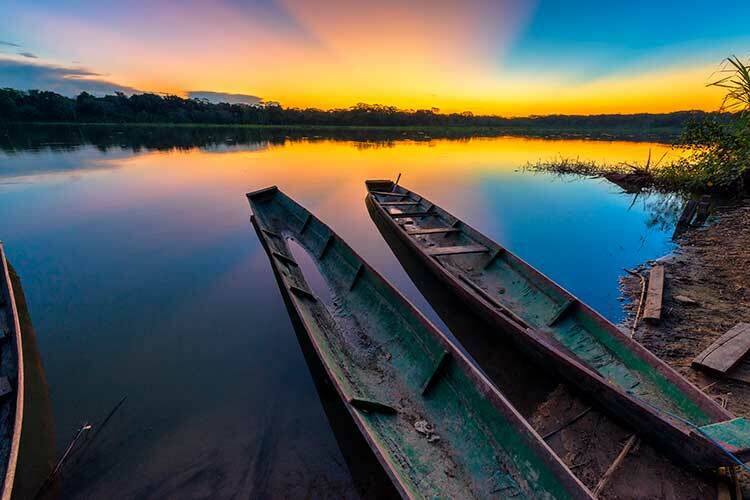 And, like the rest of your tailor-made Bolivia travel itinerary, it really is “choose your own adventure.” Will it be a tour through the wildlife-rich pampas on the Amazon’s edge or does the lure of being completely surrounded by dense jungle flora sound more appealing? Either option will surely not disappoint. 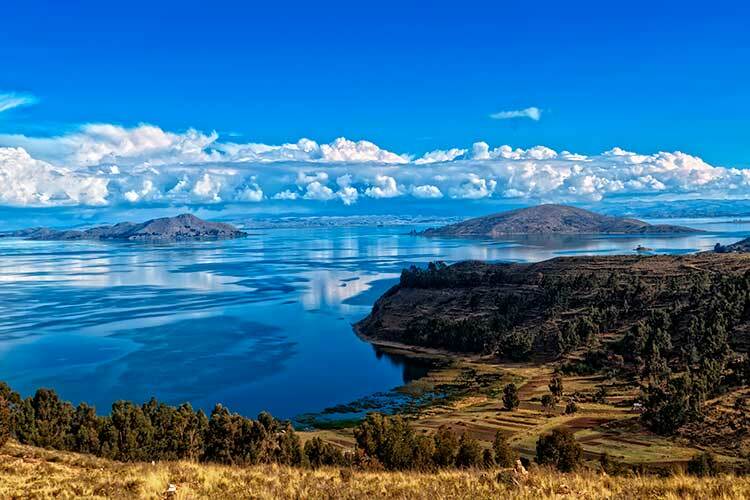 Isla del Sol is located on the Bolivian side of Lake Titicaca, the world’s highest navigable lake. Hop on a boat from the lakeside town of Copacabana and take in the birthplace of Inti (the sun) and bask in the tranquil ways of life here.